2) You will get there a Send option. Just Click on it and Transfer minimum 500₹ to your friends. 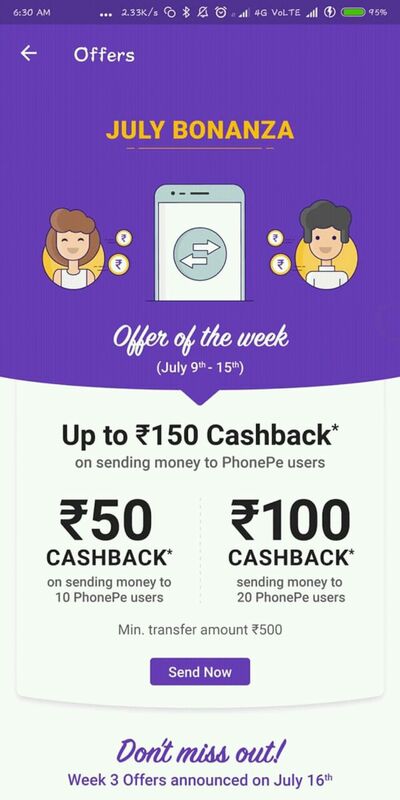 3) Repeat same process 10 time to receive 50 Cashback. 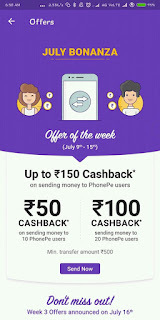 If you want more cashback then send 10 time more to different USER. 5.) Total done 20 trxn and get 150 💰.